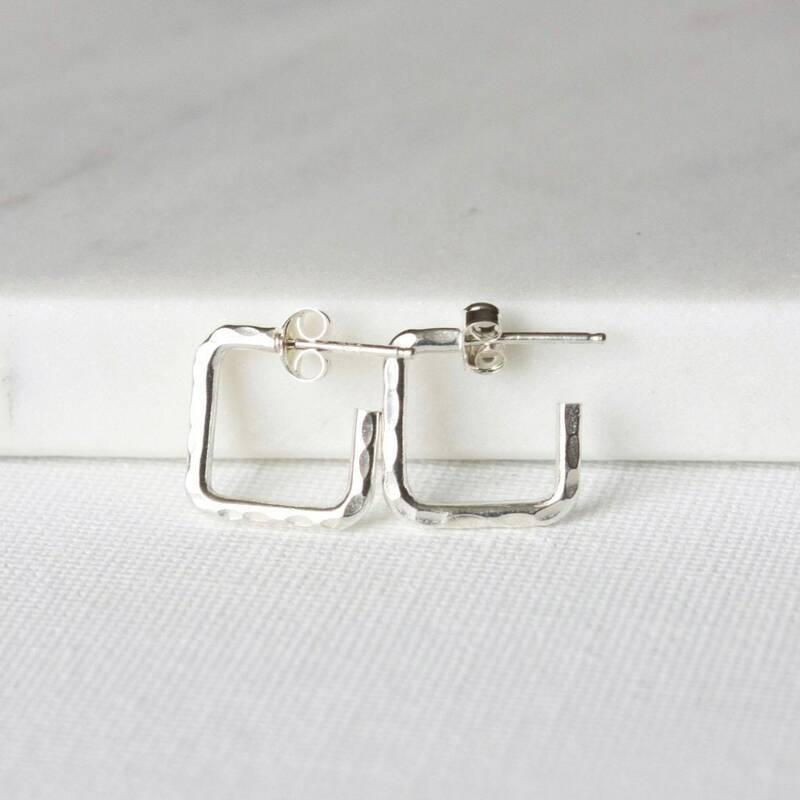 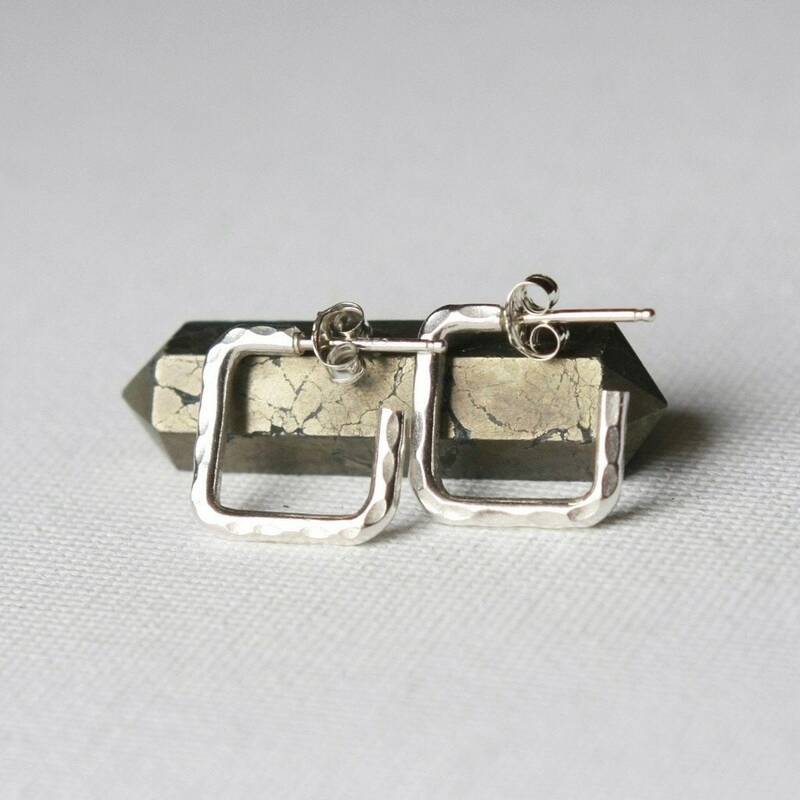 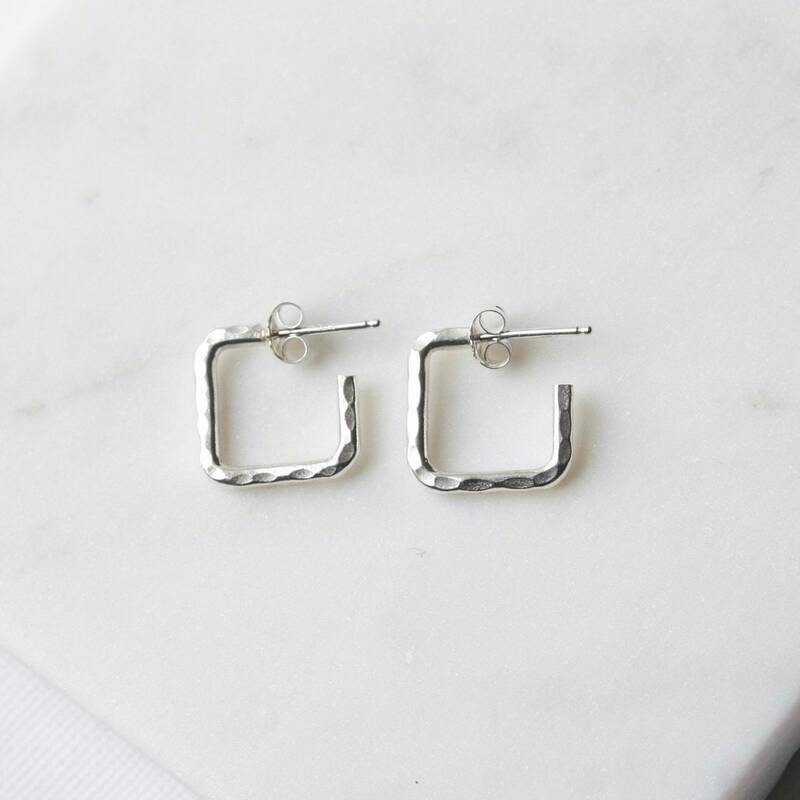 These earrings feature two recurring themes in my jewelry - clean minimal design and geometric forms. 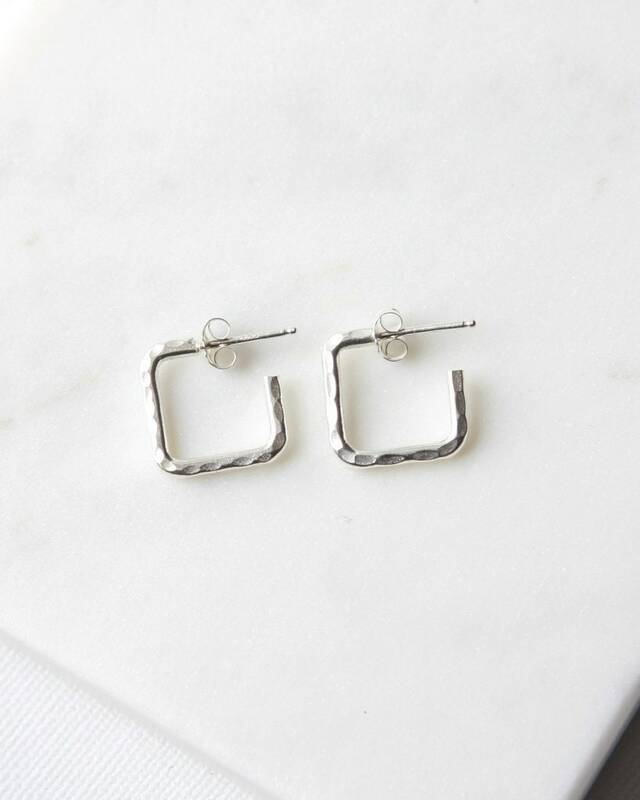 I've combined them here for a different take on hoop earrings - instead of circles these ones feature 15mm sterling silver squares with soldered posts. 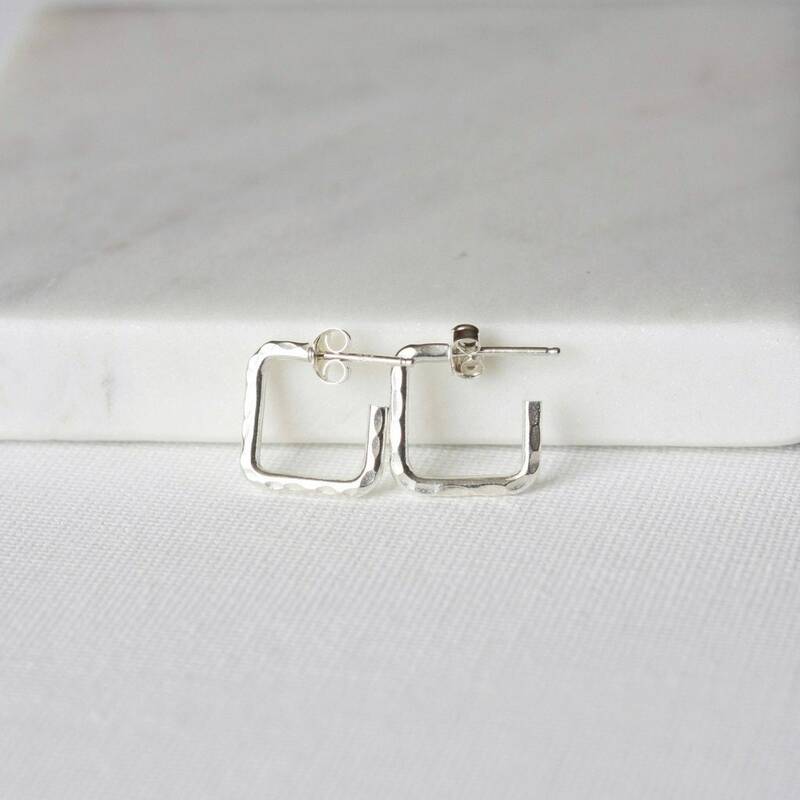 The thick wire has a nice bright finish and has been hammered for gorgeous shine. 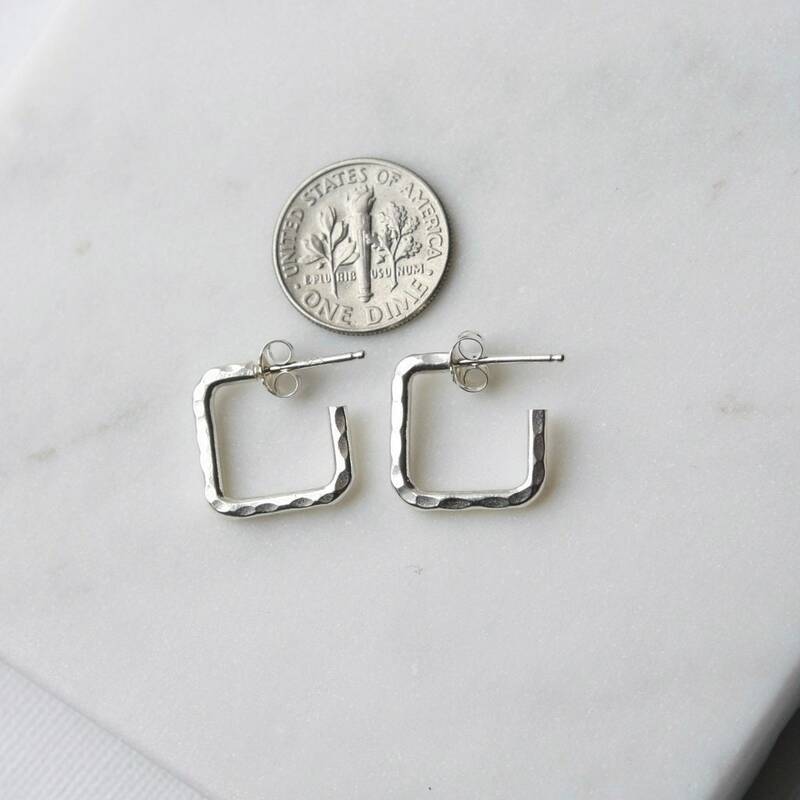 The earrings are small dangles and fit close to the ear - a sleek look for everyday!